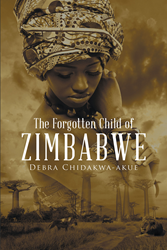 “The Forgotten Child of Zimbabwe” from Christian Faith Publishing author Debra Chidakwa-Akue recounts the author’s struggle to survive Zimbabwe’s war for independence. Through her journey, she reveals the power of the human spirit and heart to endure in the most horrific of circumstances. “The Forgotten Child of Zimbabwe”: a war story of tremendous encouragement, inspiration, sadness, and thought-provoking encounters. “The Forgotten Child of Zimbabwe” is the creation of published author, Debra Chidakwa-Akue. Debra Mina Chidakwa-Akue was born in Rhodesia, now Zimbabwe, then immigrated to the United Kingdom as a young girl. She has lived in the United Kingdom for most of her life. Today, she is happily married and resides in the USA with her husband and family. Debra is an ordained minister in the Methodist Church. Debra has a legal background and serves as a community developer as well as a representative for women’s rights and children. Debra is a relentless warrior, dignified woman, joyous individual, who loves a good laugh, and a wonderful cook. Published by Christian Faith Publishing, Debra Chidakwa-Akue’s new book is a story of a young girl who endured the horrors of war. In December of 1966, a baby girl was born in the forests of central Zimbabwe. Seventeen years later, she sat alone on a cold concrete floor at Gatwick arrivals. Lost and afraid, she had been abandoned by the country she fought for. “The Forgotten Child of Zimbabwe” is the heart-rending story of Debra Mina Chidakwa-Akue, her early life of abuse, slavery, war, and betrayal. Set during the years of Zimbabwe’s long and bloody struggle for independence, Debra’s journey shines a harrowing light on life in her country. “The Forgotten Child of Zimbabwe” demonstrates how power corrupts and sparks conflict while revealing the horrors the human spirit can endure. Author Debra Chidakwa-Akue opens her heart to share a journey of a thousand miles filled with pain, heartache, near-death experiences, abuse, and the bitterness of Zimbabwe’s war for independence. View a synopsis of “The Forgotten Child of Zimbabwe” on YouTube. Consumers can purchase “The Forgotten Child of Zimbabwe” at traditional brick & mortar bookstores, or online at Amazon.com, Apple iTunes store, Kobo or Barnes and Noble. For additional information or inquiries about “The Forgotten Child of Zimbabwe”, contact the Christian Faith Publishing media department at 866-554-0919.